Notions: Valentines Valdani Floss Gift Set of 6 Embroidery Floss 3-Strand Balls in a Heart Package! Valdani "Valentines" Gift Set of 6 Cotton Embroidery Floss Balls. This listing offers a SUPRISE VARIETY (not the same colors as in photo). Packaged in a sweet valentines box ...... a great addition to any floss collection. Packaged Exclusively by Cottage Threads. 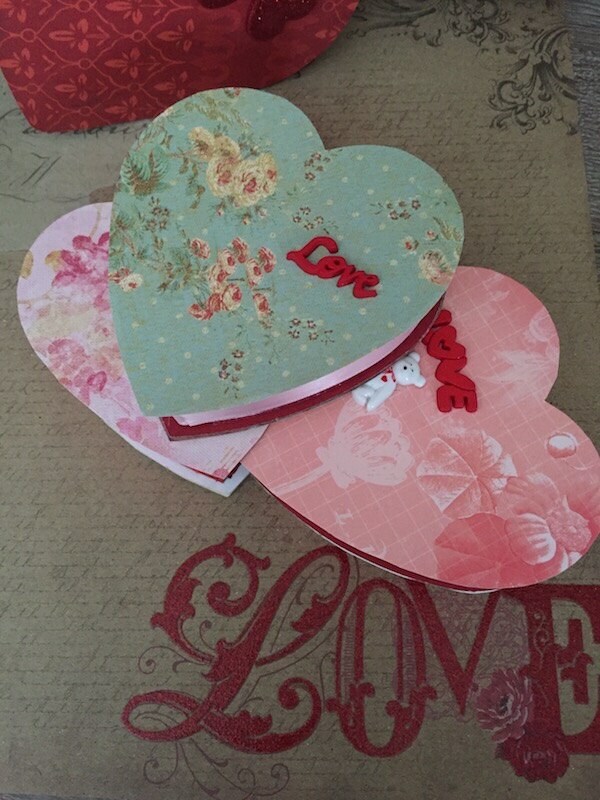 We have upcycled each heart box with designer paper and buttons and created a sweet vintage look. A Perfect GIFT for your most favorite valentine stitcher!! Floss ball colors and styles will vary per box. 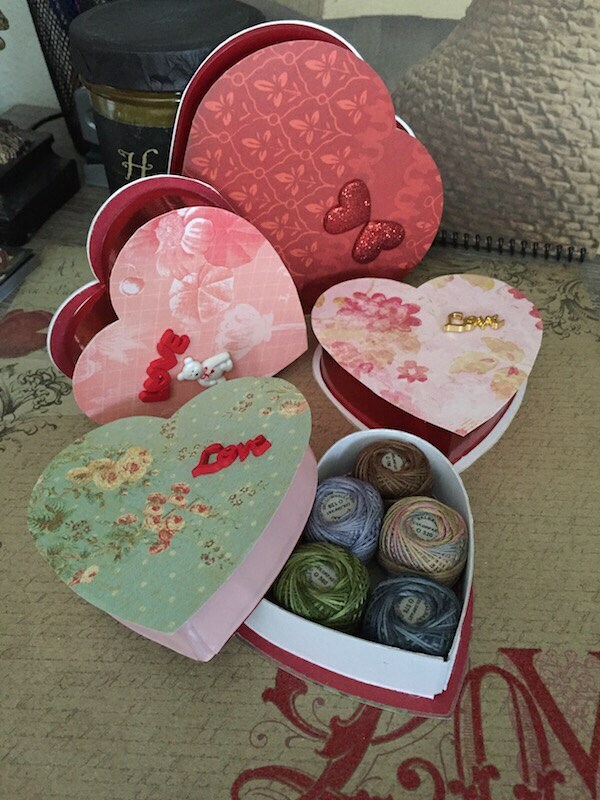 Heart Box colors will vary per order and are chosen randomly from boxes shown in photo.